Is it in game noise or actually picking up the mic? why the hell is the stamina bar is in the middle of the screen? it's annoying and looks like a youtube video loading circle. One thing that worries me about the breakable weapons is that you'll run into the old "Awesome item that you never use because you're always saving it for something bigger" issue. Say I find an awesome weapon. Is it worth using it on weakling bokoblins that I can easily take out with a crappier, more expendable weapon? Probably not. So I hold onto it. Then I get to a boss. Is it time to use that awesome weapon now? 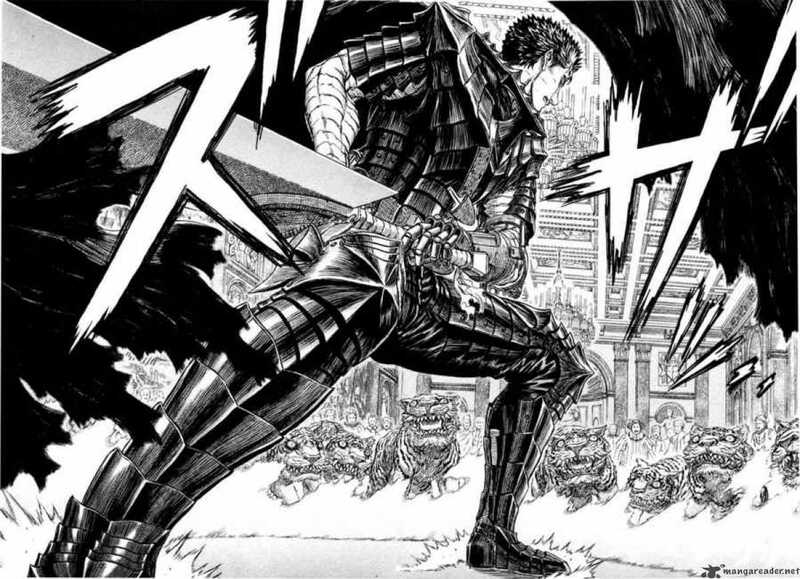 But it seems like I can beat him easily enough, so let's hold on to that awesome weapon in case we encounter an even tougher boss in the future. Oh, now we're at the final boss? Well now is definitely the time to use that awesome item, right? But... what if it's not really the final boss, or he has a more powerful second form? Better keep that awesome weapon and use up my crappier weapons first. Now we're at the credits and I never used that awesome weapon? Well then. I really love the music in the trailer; sends so much chills. I see a lot of Dark Souls mentions but what I got was "if Nintendo ever remade Zelda 1 this is what they would mostly get". Honestly think it takes place after links adventure. makes the most sense to me considering where the inspiration is coming from. Links adventure already had like a sort of run down hyrule right? temples used to be castles? I dont know if Im remembering that correctly. The "open your eyes" segment was right out of. 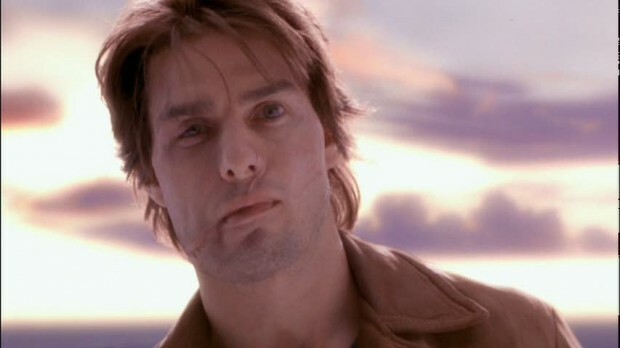 VANILLA SKY. Also, not a great title name. Pretty game though. Where on the map is the E3 demo area? Anyone tried to find out? Give or take a bit. I'm sure RagnarokX will have a very scientific analysis soon. I was thinking that too. 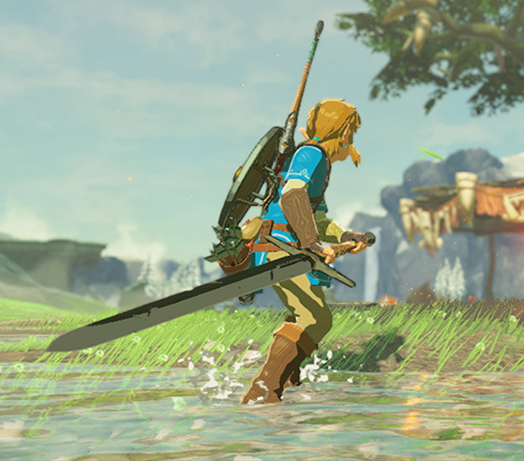 I'm sure there will be weapons and armor that are indestructible (Master Sword, Hylian Shield, classic green tunic, etc) but there will be a lot of challenges to get them and probably late in the game. Graphics looks sweet but the land looks so empty. I am neutral on the subtitle for now. What constitutes non-barren? Got a pic of such an example? What if there's a smith shop in this game? Or weapon crafting? With everything you need can be picked up, there's so much rupees can do in this game. I'm not expecting it, but it is a possibility. The fact that there's a lot of different ways to kill enemies in this game other than relying on your equipped sword and arrows makes you just use everything you have and just have fun with your cool weapons even if they break. You'll probably end up with an unbreakable master sword to finish the game anyway lol. The Kotaku hands on saying that if there is a storm you can get hit by a lightning if you carry a sword BUT if you are in combat during said storm, throw the sword and if the enemy pick it up then he will be hit by the lightning. I applaud Aonuma and co. for deconstructing the Zelda formula and then putting it back together so well. The game feels brand new yet also perfectly familiar. Although I'm not completely sold on all the changes they've made, that's fine. I'm just happy they've finally taken such bold steps and Aonuma has gotten over his Ocarina of Time syndrome. Someone needs to make a gif of that part where Link is holding on to the very top of the Temple of Time and look around the massive map. Game of the Show for me! This is everything I could ever want Zelda to be and so much more! The creativity is unlike anything I've seen in a long time. Being able to take environmental objects such as pot lids and use them as self-defense items is such a cool feature! It actually looks to be a living world! Yeah, I do like that aspect of durability. You'll have to keep using new weapons instead of just choosing one good one and sticking with it for the entire game. I know people hate Paper Mario: Sticker Star, but that was one thing I really liked about that game's combat system. Even against weaker enemies, I had to change up my strategies based on what I had available. My lord those AI interactions are insane. normal arrows to the bomb crates/barrels didn't blow them up, thus why the bokoblin countered by hucking it at them haha. well, yes - but I think Dark Souls was inspired by Zelda as a series. I mean, it had the whole "let's drop you in a big, barren, desolate world with no handholding" vibe from Zelda 1 + improving the combat from Ocarina of Time (Z-targetting + focusing on combat instead of puzzle-solving) + the structure of "collect X number of things -> advance plot -> collect Z number of things -> ending" from A Link to the Past/Ocarina of Time. So saying it's "inspired by Dark Souls" is actually saying it's being inspired by the series itself in a sort-of-roundabout way. Read a quote from Aunoma that said 'you can beat the game immediately after starting if you're good enough or crazy' and outright skip the story. So that's something. Yeah I'm a little worried that in order to accommodate the new open structure, this game will be VERY light on story, maybe even more so than ALBW. I like Zelda stories, even if they are relatively simple. With what we've seen and been told so far, the structure of the game seems to revolve around collecting spirit orbs to unlock/upgrade abilities/items which will better equip you to fight Ganon. But I hope there's a strong narrative within this fairly simple seeming structure. God, I want to lose myself in this world. yeah that's the one thing I'm worried about. I wonder if that cutscene of king hyrule guy saying ganon's been there 100 years and stuff....was pretty much it. lol, this game is going to be soooo divisive. I can feel it in my Stalfos. Link yawns in the morning and theres dew mist. This game. That looks anything but barren to me. Anyone else getting serious Link's Awakening vibes from the intro? Not sure if this needed its own thread but you can beat the game without finishing the story. The lack of music in the overworld is disappointing. well that would be your fault, then. don't blame the game for your lack of willingness to experiment with weapons. I still have a sneaking suspicion that the game will be like...two parts for lack of a better term. And the 2nd part will kinda have that narrative stuff. A couple of the treehouse people seemed to perk up when talking about "later game" but said they can't talk about it, but it's good. But then again, they're treehouse. It was actually just the Sam person. Unlike other Zeldas this one is seem to be made with getting lost exploring in the overworld for long period of times. Having epic music constantly blaring out would be annoying more than anything. Yeah it seems to be more sitautional. I just posted a piece from the gamexplain video during a night battle. 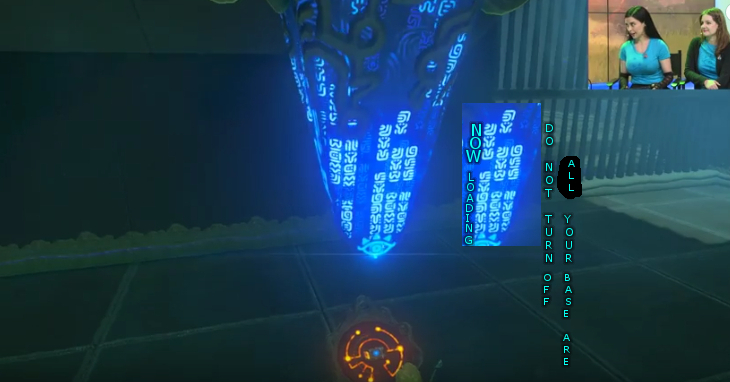 Just saw on the GX video that they aren't doing the loud beeping when Link has low health. Instead it's a quiet chime and Link flashes red. Aonuma mentioned they actively removed all the story from the demo. But he is also very big on wanting the story to be told environmentally in this game and not just shoved in your face, so I imagine it will be pretty light, regardless. one of the things I noticed about the music was how piano-based it is. Think about the trailer theme, the small snippets of music we've heard here and there, the chest-opening jingle, and even in one of the short videos about areas beyond the Plateau that Aonuma showed near the end of Treehouse Live there was a minimal, piano-based, melody playing over one of the areas. It's quite the contrast from the bombastic sound of previous Zeldas. Of course, that doesn't mean the whole OST will be mostly piano compositions (I'm sure we'll hear more "conventional" Zelda tunes in the future), but I'm curious about the fact that they chose that the first glimpse of BOTW's world was to be accompanied by piano music. It's another stylistic choice that screams "we're breaking up with this series' conventions". Yes, Link waking up is a thing Miyamoto likes to put in on purpose.